Pack a lite lunch and have room to put your sweater or wind breaker. 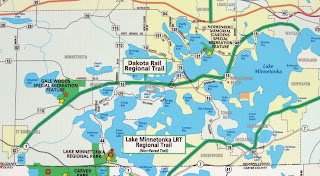 Once you get some miles under you... we need to tackle the trails in Mankato. Wow - those Camelbaks aren't cheap! Thanks for the heads up. I look forward to that ride!